Illinois Service Federal bank in many ways looks like it should be a thing of the past. The main office, with its mid-century modernist architecture and wood paneling, looks unchanged from the 1960s. In the lobby, bank tellers chat with customers in a way that is not corporately friendly, but genuinely familiar, as though everyone who walks in is an old friend. And in perhaps the greatest anachronism of all, the bank itself is independent; instead of hundreds of branches around the country, the bank has only two — one in Chicago’s Bronzeville neighborhood and the other in Chatham. In the past few years, Illinois Service Federal has faced obstacles that should have relegated it to history, but it has survived largely because of its central mission: to be a bank specifically for Chicago’s African-American community. Now the last of its kind in the city, the local bank is evolving to be able to serve African Americans into the future. Illinois Service Federal (ISF) traces its origins back to 1934, when a group of 13 Black Chicagoans pooled their money together after being denied loans at other banks because of their race. 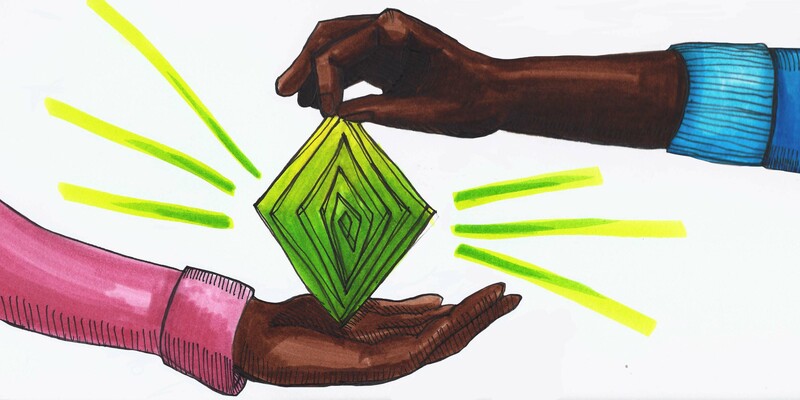 The founders recognized that racist lending policies at larger banks were plaguing many in their community, and so opened ISF with the purpose of serving as a source of capital for Black residents of the city, and helping them to keep that capital within the community of their neighborhoods. Now, some 87 years later, the mission of ISF remains largely the same, though carrying out this mission has not been without challenges. After serving as a community pillar for decades, ISF fell victim to the economic recession of 2008-2009, and ultimately the bank went up for sale in 2016. It was purchased by Groupe Nduom, a multinational conglomerate started out of Ghana, that has holdings in Europe, Africa and North America. Paa Kwesi Nduom, leader of Groupe Nduom, recognized the important role ISF played in the community and invested $9 million in June of 2016 to keep the bank from going under. Things finally turned around for the bank in 2017, and in July of 2018, ISF was fully absorbed into Groupe Ndoum, changing its name to GN Bank after its new owning partnership. Today, the bank manages about $130 million in assets according to FDIC reports, and offers mortgages, business loans and other financial products to mostly African-American customers on Chicago’s South and West sides. Social conditions have changed for African Americans since the early days of ISF, but enough economic and political inequality remains that many believe there is still a need for a Black-owned bank in Chicago. Ron Evans, manager of ISF’s Chatham branch, says he has seen discriminatory lending firsthand. “When I worked for some of the bigger lenders, I saw that some of them just don’t want to lend in our neighborhoods,” Evans said. He recalls stories of people who came to ISF for loans, after being inexplicably denied elsewhere, despite having sufficient funds and good credit. Even when they do offer loans to African Americans, national commercial banks have had a history of doing so in a way that is unjust. In 2017, Chase Bank paid a $55 million settlement for a claim that they systematically charged Black and Latinx customers higher interest rates for mortgages between 2006 and 2009. In addition to helping customers overcome barriers to accessing capital, GN Bank works to help keep capital concentrated within communities. “One of the positive things about being able to offer our community loans is keeping our neighborhoods owned by the people who live there,” Evans said. This is another way in which they differ from bigger banks; with mortgages specifically, ISF takes a holistic approach to applicants, and takes into consideration what a loan would mean for the wider community. “We’re better off letting someone who’s going to live in the neighborhood get [a home loan] at a cheaper price than buy it back from someone who doesn’t even live in the community for twice as much,” said Evans. Even as GN Bank sets its sights on expanding nationwide, they remain committed to their roots in Chicago. Dr. Papa Kwesi Nduom, the bank’s new chairman, has said that the head office will always remain on the South Side of Chicago. This conscious effort to reinvest bank funds back into the same racial and geographic group serve the bank’s ultimate goal of building community wealth. When individual African-American families have the financial knowledge and the access to capital necessary to maintain and build wealth, the entire community is strengthened in the present, and over the long term. For all Americans, wealth is a key driver of economic security because it determines stability over a longer period of time than income. Financial assets — stocks, bonds, real estate and other durable goods — have a greater impact than income on a family’s economic trajectory across generations because their effect is cumulative; as financial assets increase in value over time, each generation that inherits the wealth does better than the previous one. But the key is to have those financial assets in the first place, and in the United States there is a great disparity in which racial groups have access. According to a recent study done by the Institute for Policy Studies, the average middle-income white family in 2017 has eight times as much wealth as a middle-income Black family. Another study found that if this trend continues at the same pace as today, it would take a Black family 228 years to build the wealth that the average white family has today. In actuality, things are trending to become even worse; when durable goods such as cars and furniture are excluded, the median Black household actually lost 75 percent of its wealth between 1983 and 2013. If these declines for Black households continue to escalate, in four years white households could own 68 times more wealth as Black households. Economic disadvantage is passed down generationally just like advantage, and the position that African Americans were in throughout much of this country’s history has a significant drag on economic prospects of African Americans today, despite other gains in equality. Resolving the wealth gap is a crucial part of reducing overall inequality in this country, but the steps to closing the gap are complicated and multifaceted. One important step is for more African Americans to be involved in the banking system and equipped with knowledge to make sound financial decisions. This is something that GN Bank CEO Bob Klamp believes passionately. “You need to bring an understanding of the ways to help educate the unbanked, and the majority of people in our community are unbanked,” Klamp said. The population of “unbanked” citizens that Klamp observes locally is also reflected at the national level. A 2015 FDIC survey found that 55 percent of Black households in the US were unbanked or underbanked, meaning they did not have an active checking or savings account in a traditional bank. Unbanked people tend to instead handle their finances through payday loan services or check cashers, which often have exorbitant interest rates, and do nothing to aid a person in building wealth over time. Under Klamp’s leadership, ISF takes active steps to educate Chicagoans about finance. They host monthly workshops in the lobby of the bank, where people can come in and ask advice. They also host more targeted educational sessions, such as a first-time homebuyer session hosted in the Chatham branch in 2018. According to Senior Officer Aakaash Srereddy, these events are well-attended. In addition to these formal events, the bank simply also just goes out into the community to make their presence known. “Sometimes on a Sunday morning, we’ll attend a church service of one of our customers, and end up talking about talking about the financial products we have with the congregation,” Klamp said. The most impactful interactions, Klamp says, are often one-on-one. Even if they can’t help a person right away, they at least want to provide them with financial education. Photo: Camille Squires, 14 East. While Black-owned community banks like ISF can be a resource to help Black Americans close the racial wealth gap, they have also suffered a number of losses in the past few years that indicate just how fragile financial institutions can be in communities historically deprived of capital. The number of Black-owned banks nationally has declined in the past 15 years, and now only 23 remain nationwide. 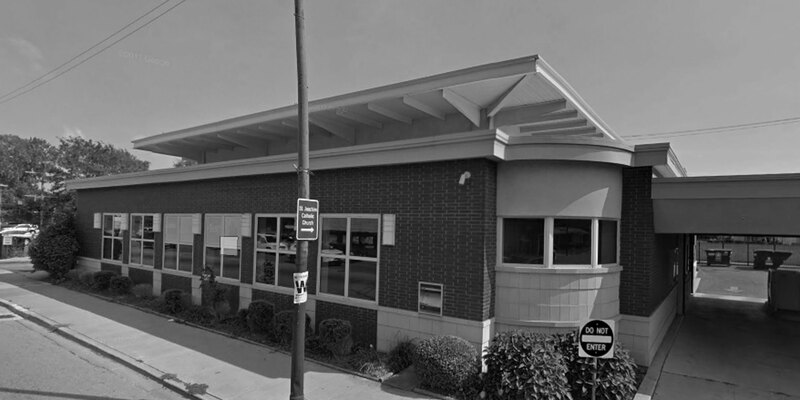 In 2016, Chicago’s other main Black-owned bank — Seaway — closed despite the community’s best efforts to keep it open, and ISF was close to shutting its doors after years of decline. The bank was hit hard by the nationwide economic recession of 2008, as African Americans fared much worse than other groups in the housing market crash. This included Black homeowners who banked with ISF. “Our losses from defaults were way above the national average,” Evans said. It was this series of events that led to the $9 million investment from Groupe Nduom that ultimately proved crucial to the bank’s survival, according to Aakaash Sreereddy. “[The Groupe Nduom shareholders] helped us clear the bad loan portfolio at the bank and gave us freedom to operate freely without the excess baggage of these loans,” Sreereddy said. “Everything is changing for the better: deposit-wise, programs, IT, resources,” Evans said. The key to continued growth, Evans said, is to attract younger customers who will grow with them into the future. Currently the majority of depositors are over the age of 50, but GN Bank is currently investing resources in improving online and mobile banking to meet the expectations of younger customers. Within the past year, they have rolled out a new mobile app with improved security, and set up mobile wallets for debit cards, allowing users to connect their cards to Apple Pay, Samsung Pay, etc. According to Sreereddy, GN Bank has seen a slow increase in younger customers in the past year. This may be indicative of a commitment to community banking that may be taking hold more broadly among Black millennials. In 2016, rapper and social activist Killer Mike went viral on social media for a series of interviews he gave in which he called on people to bank locally instead of putting their money in large commercial banks. The video inspired a Twitter hashtag called #BankBlack, and resulted in upwards of $20 million in new deposits, according to OneUnited, a Black-owned bank in New York. Bob Klamp said that ISF did not experience a similar windfall as a result of this movement, but they remain confident in their ability to attract younger customers. Attracting younger customers, improving financial literacy and keeping capital within a community by investing in homeownership and small businesses are all strategies that will help Black-owned banks continue into the future and may work to help close the racial wealth gap. But Black Americans also need more opportunities to amass wealth. Policy changes at the state and federal level can create better equity in terms of income, education and job opportunities, but ultimately in order to build financial wealth, people need to be able to engage in the financial system without fear of discrimination. Historically, Black-owned banks like Illinois Service Federal have been key actors in improving the economic prospects of African Americans in the past, and despite threats to their survival. Now as GN Bank, the institution is doing all it can to adapt to the current landscape of American banking and continue to be a promoter of Black wealth into the future.